A country marked by civil war, conflict, poverty, restrictive political and economic sanctions, poor infrastructure, power shortages, and a complete lack of successful entrepreneurs. That was the situation in Sudan when some brave entrepreneurs decided it was time to break the barrier and jump into the unknown. Although many problems continue, entrepreneurs are paving the way and shaping a more hopeful future for the younger generation who have, for the first time, successful innovators to look up to. “We didn’t have success stories 5 years ago. People didn’t trust they could actually achieve something”, said Ahmed Elmurtada, head of international affairs at the Innovation and Entrepreneurship Community (IEC) in Sudan. But after the success of startups such as Tirhal, Mishwar and SmartDelivery, minds changed. “In the startup community in Khartoum, people now see the value of putting money and effort in building startups. Even the mindset of people who have the money is changing and now they invest in young people, this wasn’t here before”, he says. Mishwar was the first ride-sharing startup and one of the first apps ever developed in the country, Tarig Abdalla, the founder, describes that he was very scared when he started, since there was no ecosystem, and people often dismissed his idea. ““Everyone has an idea, but to execute or implement, they need encouragement.” Before Mishwar, he says people did not know or believe that they could use an app to make business. According to him, Sudanese people did not believe in technology, only now they are starting to understand how innovation can contribute to their lives. Because of such a difficult beginning, characteristic of most startups, they are left with a strong sense of social responsibility, and a desire to help young innovators. 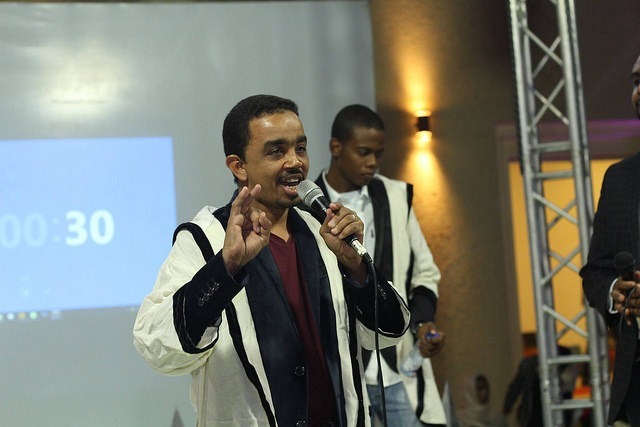 Tirhal is the leading app in the country and the fastest growing brand in the history of Sudan, the founder, Mohammed Elzakey, had a very humble start, distributing flyers in the street. Now he has a yearly revenue of more than 5 million dollars. Part of this revenue is now reserved towards helping other startups. “It is our social responsibility to help other people and support startups. The economy is really weak, we try to participate and do our responsibility for the Sudanese”, he claims. Although Sudan has come a long way from what it was 5 years ago, there is still a long way to go. “We need more role models, we need more than one Tirhal, so people can understand what is entrepreneurship and the potential of startups to help Sudan”, says Mostafa Faiz, co-founder of SmartDelivery and Fresh. Mostafa was a potato planter who saw an opportunity to break the supply chain and offer his clients better prices and better quality by eliminating the middlemen and engaging with customers directly via an app. This was the idea behind SmartDelivery, and in 2015 they competed in the first Get in the Ring event in Sudan and won both the competition in Sudan and the regional finals in Morocco. They went all the way to the Global Meetup and caused a huge impact in their country. He described the experience of participating as an amazing one, which allowed him to get in touch with startups and investors from different countries. “It was eye-opening. There are no big differences between us and them, it’s just about making the connection, exchanging ideas”, said Mostafa. 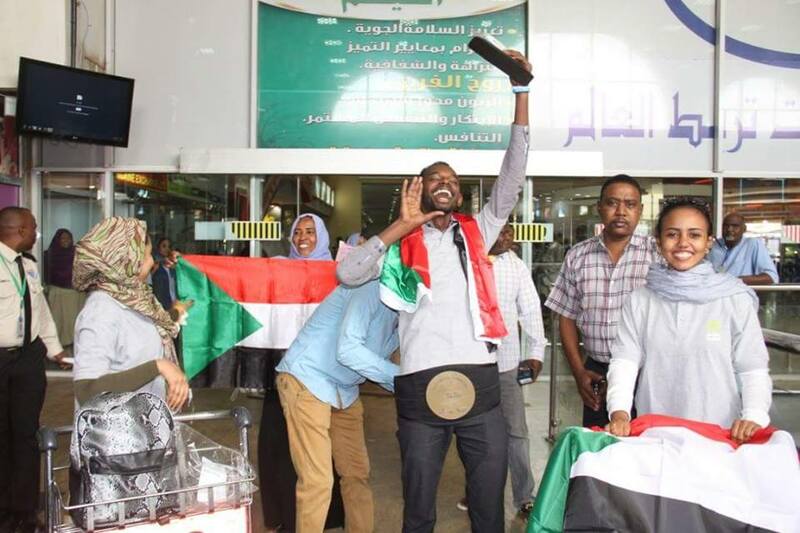 Their victory had a big impact in Sudan. “When they won, nobody believed it. It created a big buzz back home, everyone was talking about it, sharing the news. It gave people more trust that they can achieve something. That’s why Get in the Ring is the number one event here in Sudan”, explains Ahmed. According to him, the whole concept of having such an event was new, and it was something the community had wanted for a long time. The ride sharing app Mishwar also participated the same year, and although they did not win, it was very profitable to have participated. “As soon as we participated, our numbers spiked. In a day we had maybe 30 trips, and after participating we got 100”, says Tarig. Tirhal also participated in a Get in the Ring event, in 2016, and one year later they were already sponsoring the event and plan to do the same this year. “First year we are competing, second year we are sponsors, that is the message we try to send to everyone”, explained Mohammed. The future seems bright for Sudan. Not only are they currently engaged in organizing such events, but they are also investing in more permanent organizations. In April, IEC opened their first co-working space, 249startups. There, not only can startups share the space and use for meeting, but also attract investors to Sudan and participate in workshops and mentorships. “We are building this ecosystem. No one here knew about entrepreneurship and startups but right now investors are willing to listen”, says Ahmed. This November, Khartoum will be the stage of another Get in the Ring, that has everything to be just as successful as the previous editions, and bring even more innovation to the country. “Sudan has a lot of problems, and where there are a lot of problems there are a lot of opportunities”, says Ahmed. If can also apply for the Global Startup Competition here, participate in local events and compete for a chance to go to the Global Meetup 2019.